Kahlua Caramel Sauce - Chocolate Chocolate and More! You’re going to want to top everything with this Kahlua Caramel Sauce. Kahlua gives the sauce depth and if you add it after the caramel sauce cools, a little kick. Drizzle it on ice-cream, brownies, your favorite drink or just grab a spoon! A sweet couple at church celebrated their fifth anniversary on Saturday. They have a sweet little boy who is just about 1 year old – such a charming family. I decided to make an espresso cheesecake. But coffee is bitter so you need something to sweeten it up. Caramel sauce, right? There weren’t any children at the anniversary party so time to make a dessert for adults only. Espresso cheesecake is an adult dessert (unless you want wired kids). But we really need to celebrate. Kahlua and cream was my sister’s favorite drink. 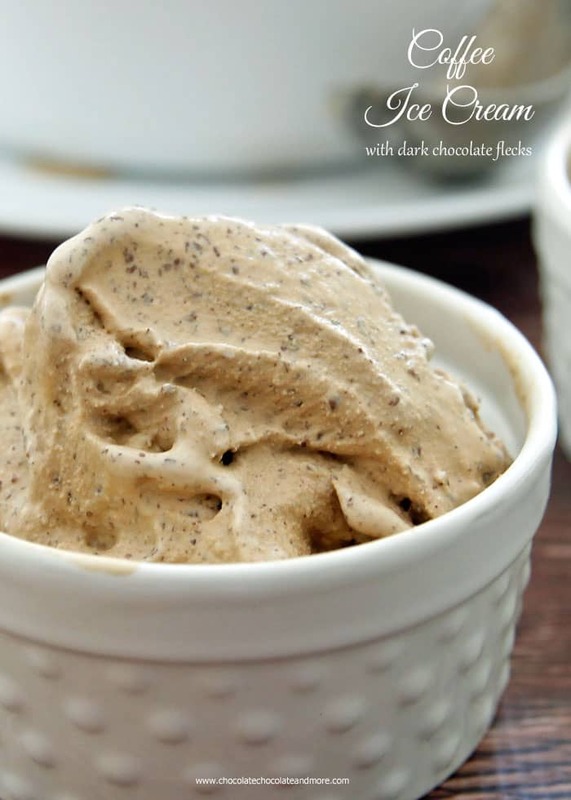 I personally love a little Kahlua on ice-cream so why not use it to spice up the caramel sauce? Homemade caramel sauce is easy and you probably have the ingredients already – sugar, cream and butter. The corn syrup prevents the sauce from becoming grainy. If you don’t like corn syrup, you can leave it out but watch for sugar crystals forming while you cook. The key to caramel sauce is cooking the sugar to the right color. As you cook the sugar, it melts, turns clear, turns yellow and then starts turning brown. When the sugar starts turning brown you have to watch it carefully because it can burn easily. Once it’s a shade darker than the color you want at the end, take it off the heat and add the cream and butter. I added the Kahlua to my Kahlua caramel sauce while it was still hot. All the alcohol evaporated leaving a rich, caramel sauce with a hint of coffee flavor. Put sugar and corn syrup in a heavy saucepan. Heat on medium high. Stir until the mixture boils then stop stirring. When the solution turns from clear to yellow, start stirring again. Watch the color carefully. The solution will turn golden brown and then start to darken. You want the solution to be a bit darker than the desired final color because when you add cream and butter, that will lighten it up a shade. As soon as the solution is the desired color, take it off the heat. Add the cream all at once. BE VERY CAREFUL! The solution will bubble up to about twice the original size and give off a lot of steam. You will need to stir the cream in and then stir in the butter. If you want the alcohol to burn off, add the Kahlua while the caramel sauce is still hot. If you want more alcohol left in the sauce, wait until the sauce is luke warm to add the Kahlua. Thanks for sharing! So so good! Much fresher tasting than any store bought! Thanks Cindi. It was a hit at church today! Sorry Caroline. It just published. I’ll add the link to this post.